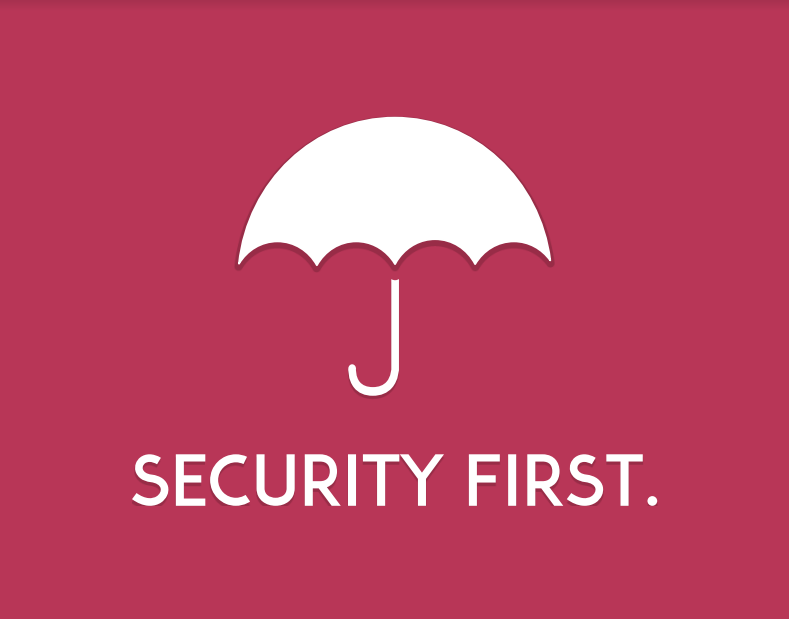 Hey folks, just to say that in collaboration with Advocacy Assembly and Small Media, Security First has just launched four free online digital security trainings. -"Phishing, Malware and Social Engineering,"
-"Secure Passwords and Encryption of Data"
-"Staying Safe Online and Using Social Media." Each course should take about 20 minutes to complete and has lots of video, quizzes and further learning resources. They are all fully available in English, Farsi and Arabic. Hope ya'll find them useful! Would love to hear any feedback you might have. Hi @rorybyrne! Just went through the four courses available, really solid advice in each video. Some of the screenshots are really small, might be difficult for older views to see what's happening. 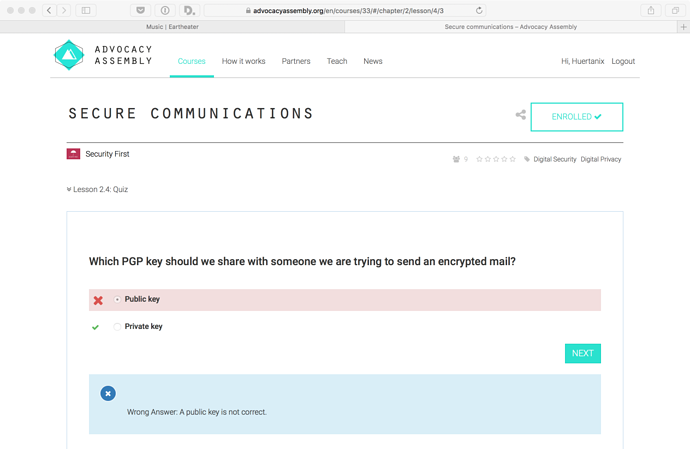 The PGP key question in one of the quizzes has an incorrect answer as the correct answer (it said to share the private key; private keys should not be shared). Good point about the screenshot sizes. Dam, that's a very big quiz QA issue (couldn't be more wrong) that slipped through testing! Will get that changed ASAP. Update: 13:21 29/03/17 - QA issues now fixed for that question, thanks for pointing it out. Oh, side Q: The Secure Communications course Lesson 2.1 mentioned some concerns with Threema. Is there anything in particular to look out for there? I know Telegram rolled their own wiggedy-whack crypto, but Threema's NaCL-based architecture seems ok at first glance?